Stuttering, Cluttering, TT expert ! Children’s Therapy Solutions, located in Burleson, TX, is a privately owned pediatric clinic that provides speech therapy, language therapy and feeding therapy for children birth to 21 years of age. Our goal is to provide the most effective and highest quality, individualized treatment available to the families of Burleson, Joshua, Crowley, and the surrounding areas. Donna Broden is a speech-language pathologist in Dallas, TX. Practice Type: • Center Practice Areas: • Speech Language Pathology • Speech Therapy Take the next step and contact Donna Broden for a consultation in Dallas, TX or to get more information. Igniting the SPARK of great communication! 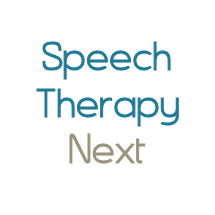 Flexible, Convenient, Online Speech Therapy! Bringing Expert Hearing Care to Your Home! Holly is the owner of WeeSpeak Therapy in McKinney, Texas. Holly has extensive experience working with our most precious asset, our children. Areas of practice include, but are not limited to articulation disorders, language disorders, fluency, VPI, Autism, Apraxia and auditory processing disorder. In home visits are offered and some insurance plans are accepted. High Quality Speech Therapy Services for the Whole Family! We come to you! Viajamos a Ustds.! Mishon Arbuckle is a speech-language pathologist in Desoto, TX. Practice Type: • Home Health Agency - Client's Home Practice Areas: • Speech Language Pathology • Speech Therapy Take the next step and contact Mishon Arbuckle for a consultation in Desoto, TX or to get more information. Stacy Law is a speech-language pathologist in Mansfield, TX. Practice Type: • Office Practice Areas: • Speech Language Pathology • Speech Therapy Take the next step and contact Stacy Law for a consultation in Mansfield, TX or to get more information.